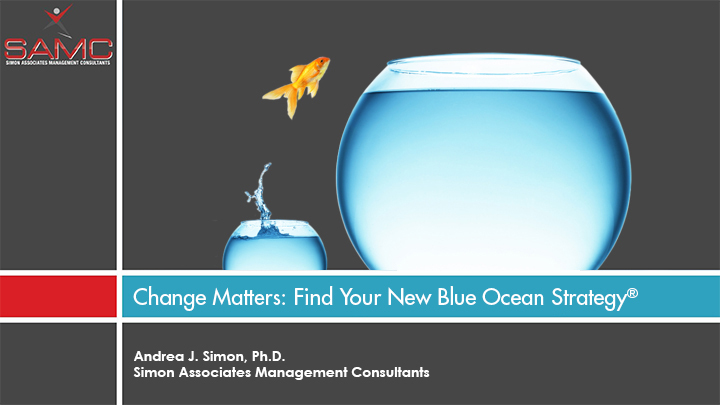 Time to Find Your Blue Ocean Strategy? We Can Help! 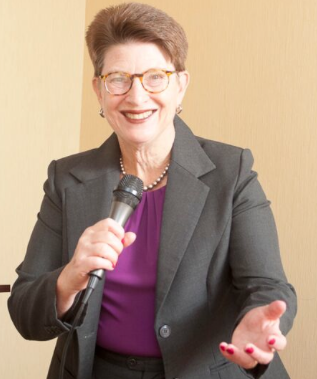 Andrea (Andi) Simon Ph.D., a corporate anthropologist, founder and president of Simon Associates Management Consultants (SAMC), is a trained practitioner in Blue Ocean Strategy. Andi is also a widely-engaged speaker on the topic. Since 2007, she has conducted over 400 workshops and speeches and worked with dozens of clients on their Blue Ocean Strategy, all of whom have found her approach very applicable to their business challenges. Our Blue Ocean Strategy White Papers and series of videos on the topic. 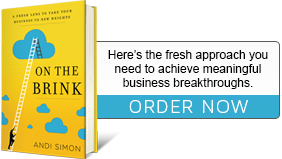 We wholeheartedly recommend that you read Reneé Mauborgne and W. Chan Kim’s widely-acclaimed book, “Blue Ocean Strategy,” as well as their book Blue Ocean Shift. One of our articles posted on Forbes.com, “Does Your Business Need A Boost,” in which we discuss a client success story involving Blue Ocean Strategic methods. A Blue Ocean Strategy workshop for you to download (click on the link below). There are lots of Blue Ocean Stories2Share on our site and we can certainly share others with you. Contact us to help you find your Blue Ocean Strategy. 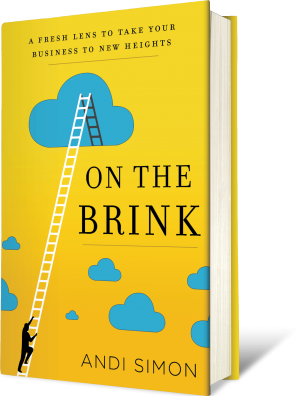 Read more about our approach in our award-winning book, “On the Brink: A Fresh Lens to Take Your Business to New Heights” available at Amazon.com. You will enjoy the 7 case studies, each of which was On the Brink. They just needed a new perspective on their business. Perhaps a little anthropology could help yours!